Sunday, June 26, 2016 at 9:00 a.m.
Wednesday, June 29, 2016 at 1:00 p.m.
Take a tour of the Westin Michigan Avenue Hotel. *Rates available 3 days before and after the conference, subject to hotel availability. Group rate available until June 5, 2016, subject to availability. Room upgrades may be available at an additional charge. **NOTE: There are a limited number of rooms available at the government rate to qualifying NCSLA State members and Government Associate members. Subject to availability on a first served basis. Must show valid Government ID at time of check-in. O’Hare International Airport (ORD) is located approximately 16 miles (40-75 minutes) from the Westin Michigan Avenue Hotel and is serviced by major airlines. Please visit the website for more information. Chicago Midway International Airport (MDW) is located approximately 16 miles (40-75 minutes) from the Westin Michigan Avenue Hotel and is serviced by major airlines. Please visit the website for more information. Note: Estimated charges, fees and schedules are not guaranteed by the hotel or NCSLA. Public Transportation by way of the Chicago Transit Authority (CTA) subway/”El” trains from the Airports can be the most convenient, cost effective and time efficient way to get from the airports to the hotel. The “Blue Line” “Train to the City” services passengers traveling from O’Hare to downtown and takes about 30-40 minutes. The “Orange Line” “Train to the City” services passengers traveling from Midway Airport to downtown and takes about 20-30 minutes. The cost of a CTA train ride is only $5. Important Note: Because the Westin Hotel is not located near the O’Hare Blue Line nor the Midway Orange Line, it is recommended that you take a taxi or other service like “Uber” or “Lyft” to the hotel once you disembark the Blue Line or Orange Line trains. You can disembark the trains at any downtown location and transfer to a taxi service but the closest disembarking point for both Blue Line and Orange Line trains is the Clark/Lake downtown stop (which also happens to be the Thompson Center which houses the Illinois Liquor Control Commission). This stop is just over a mile from the hotel and is a $6-$8 taxi service ride. While taking the CTA from the Airports may seem complicated, it can be a great option if you do not like sitting in traffic. Cab fares cost approximately $50 to/from O’Hare International Airport and $35 to/from Chicago Midway International Airport. Note: Driving distance may be affected by local conditions and traffic. “Make no little plans; they have no magic to stir men’s blood.” These are the words of Daniel Burnham, renowned Chicago architect whose blueprints were the foundation of Chicago’s rebirth after the Great Fire of 1871. Like Burnham, the Illinois Liquor Control Commission has made big plans to welcome NCSLA members and guests to Chicago for the 2016 NCSLA Annual Conference – A Blueprint to the Future. NCSLA originated in Chicago 82 years ago and the conference theme, “A Blueprint To The Future” is a tribute to its founding members. You will see the program adeptly reflects NCSLA’s mission which is to educate and serve the needs of its members, through open communication, in furtherance of effective alcohol policies within our communities and nation. This business agenda marks the first of its kind and represents the new, shortened format of two and a half days for NCSLA’s annual conference. Over the course of the conference a variety of current issues will be discussed, including mergers and acquisitions, consumer diversity and demand, technology and innovation, and public safety concerns. Drawing inspiration is an important component to developing “A Blueprint To The Future,” and you’ll hear from keynote speakers Isiah Thomas, NBA All-Star, and Andy Lansing, President & CEO of Levy Restaurants. Tuesday will feature our cornerstone sessions on ethics and the Legal Update, and on Wednesday NCSLA will introduce a new program titled “Regulator Academy,” which focuses on educational topics for state regulators. You won’t want to miss a minute of these enlightening sessions in addition to the valuable networking opportunities with colleagues and friends throughout the conference! Just click on the links below and take a few minutes to look over the complete business and social agendas. NCSLA invites members and guests to attend a welcome reception on Sunday evening, across the street from the Westin Hotel at “The Signature Room at the 95th Floor.” Atop the John Hancock Building – Chicago’s fourth tallest building - the Signature Room offers stunning panoramic views of Chicago in all directions. On Monday night, before we send you off to explore Chicago’s restaurants and nightlife, NCSLA will host the Pizza World Series in the Hospitality Suite. Don’t miss the opportunity to sample and critique pizza from three north side Chicago pizzerias and three south side Chicago pizzerias. Only one pizza and one neighborhood will be crowned champion. After the pizza tasting, the option of taking a Chicago River architectural tour will be available to a limited number of registrants (at additional cost). Don’t miss this opportunity to learn more about the history of the City while cruising on the river deep within the canyon created by Chicago’s famous skyscrapers. Seats are limited so check out details on the registration form. Tickets SOLD OUT to Chicago River Architectural Tour! On the last night of the conference, NCSLA invites you to a refined and distinguished banquet at the Art Institute of Chicago where you will have the opportunity to mingle in the Old Chicago Stock Exchange Room, receive docent guided tours of paintings like Grant Wood’s American Gothic and Edward Hopper’s Nighthawk; dine in the Terzo Piano room of the Modern Wing; and enjoy dessert overlooking Millennium Park. Of course, the NCSLA Hospitality Room will be open for networking each night at the Westin with spectacular views of Chicago’s Magnificent Mile from the 16th floor. In the words of Ferris Bueller: “The question is not ‘What are we going to do?’ The question is ‘What aren’t we going to do?’” Either way, no matter what you end up doing, remember to “Make no little plans”. Early conference registration ends Friday, May 13th, 2016 so don't delay! The registration fee increases $50.00 starting May 14th. You have the option of paying by credit card or check*. The registration fees are outlined below. TRAVEL BAN? Contact Pam Frantz for details about the NCSLA Travel Subsidy program. If you are paying by check* please make it payable to "National Conference of State Liquor Administrators", 543 Long Hill Road, Gurnee, IL 60031 and mail it to: Mary McNulty, Illinois Liquor Control Commission, 100 W. Randolph Street, Suite 7-801, Chicago, Illinois 60601. CANCELLATION POLICY: All refunds are subject to a $200.00 deduction per person. Due to contractual commitments there will be NO REFUNDS AFTER June 10, 2016. NCSLA Federal Tax ID Number: 52-6043243. ATTIRE: Attire for all scheduled business and social functions is casual with the exception of the Banquet which is formal (suit/coat and optional tie for men and evening wear for women). The average high/low temperatures in Chicago are 80°/58°F so be sure to pack for hot and sunny or cool weather! SPECIAL NEEDS: Individuals with disabilities or special dietary requirements who need special accommodations should email Mary.McNulty@illinois.gov to make arrangements. Requests should be made no later than June 10, 2016, to allow sufficient time for us to meet your needs. EXHIBITOR INFORMATION: The cost of one (1) 6 ft. or 8 ft. skirted table for two (2) consecutive conference days is $400 per table. If you would like to purchase exhibit space please complete the Exhibitor section on the registration form. 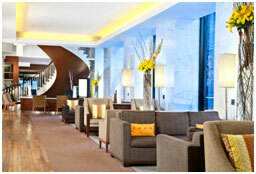 Exhibitor is responsible for making arrangements with the hotel. Please contact Ira Sugar at The Westin Michigan Avenue to coordinate, and assist you with internet access or electrical needs (e.g. cords, power strips, etc.) and arrange for direct billing. Ira Sugar's email address is isugar@PSAV.COM and phone number is (312)756-0774.